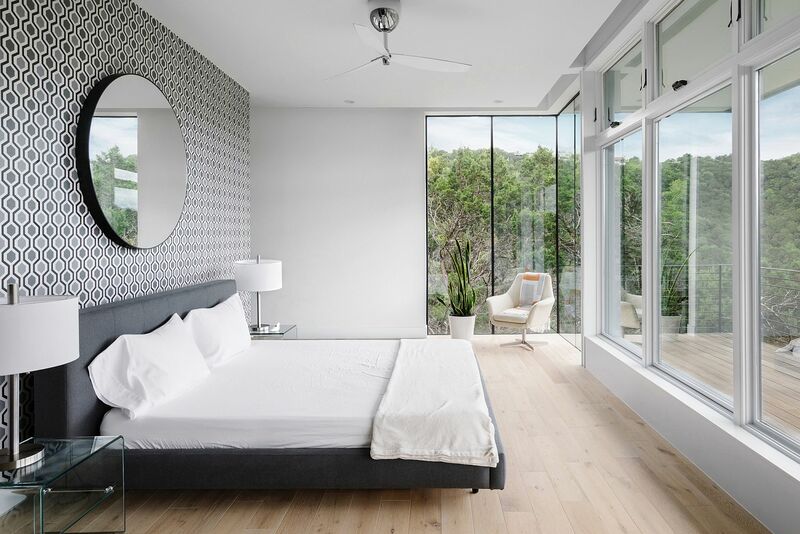 A Ludwig Mies van der Rohe masterpiece that has been studied by architects from across the globe for over six decades, the Farnsworth House offers a world of inspiration for experts and design aficionados alike. 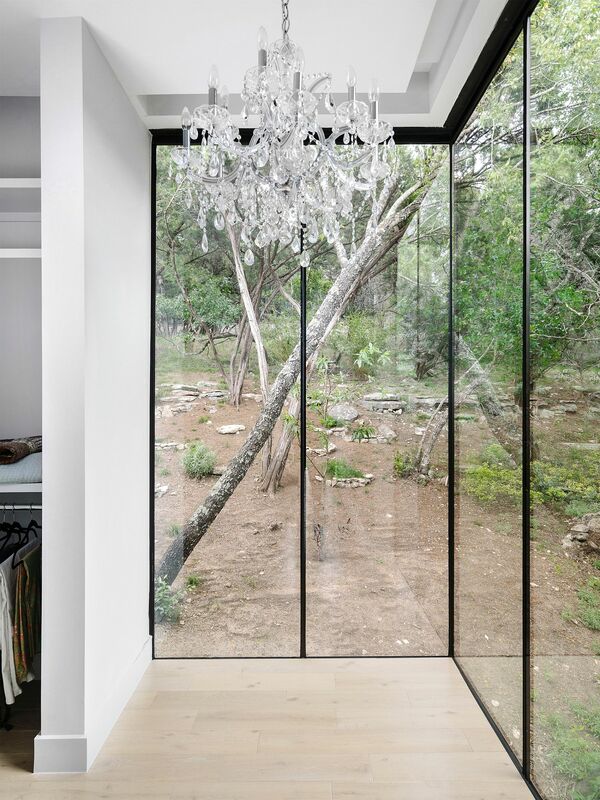 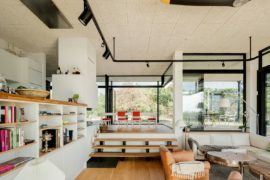 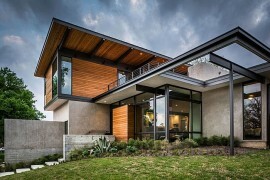 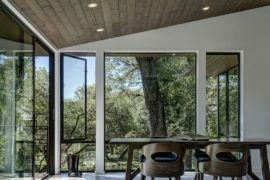 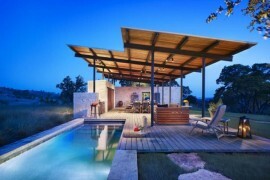 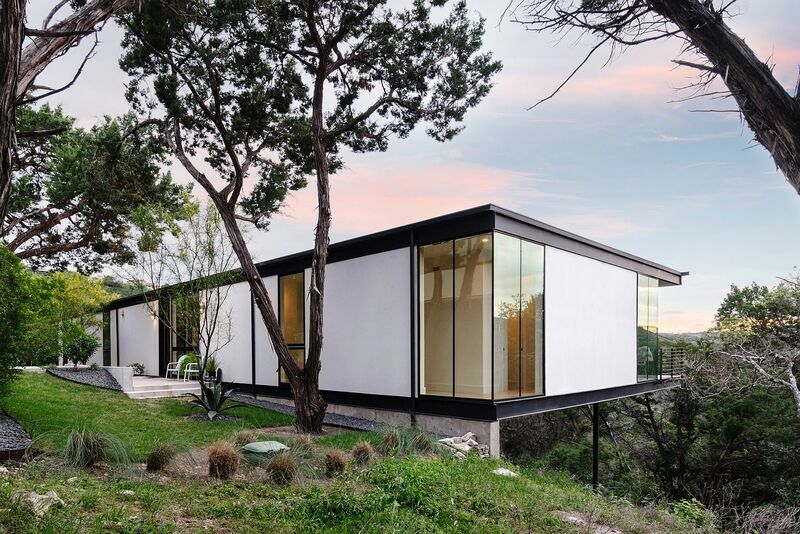 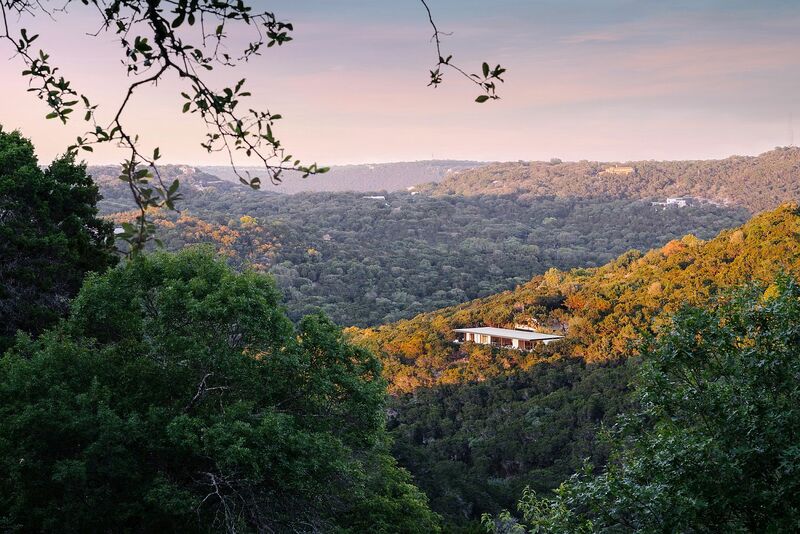 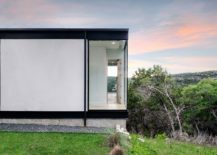 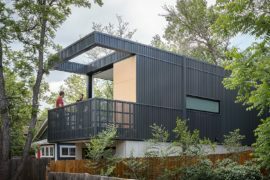 It is barely a surprise then that the owners of RoadRunner Residence in Austin, Texas wanted a home that was modeled on the iconic construction, after having fallen in love with it during one of their trips. 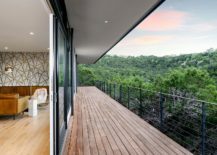 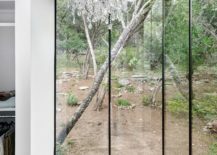 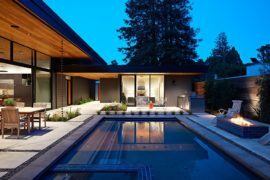 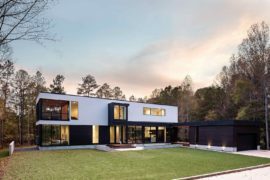 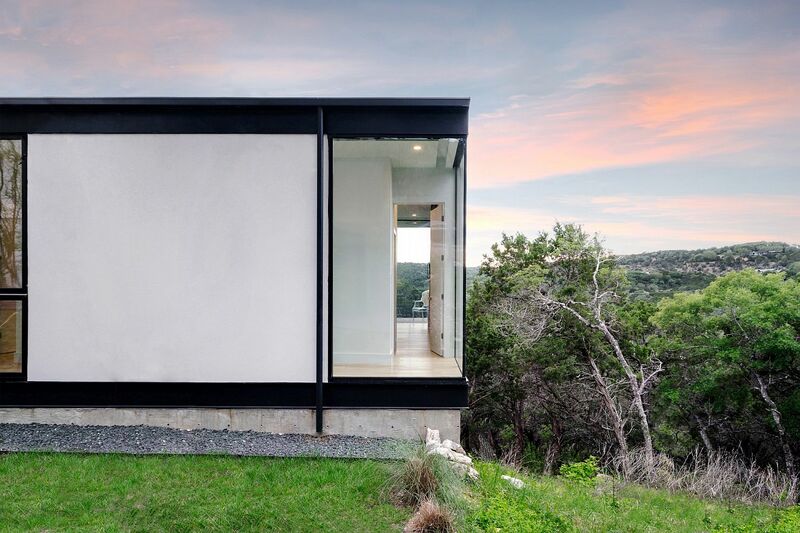 Set amidst a lush green landscape and a steep hillside, the contemporary construction by North Arrow Studio reflects the scenery that surrounds it in a captivating fashion. 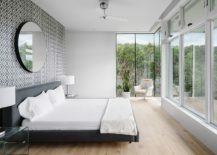 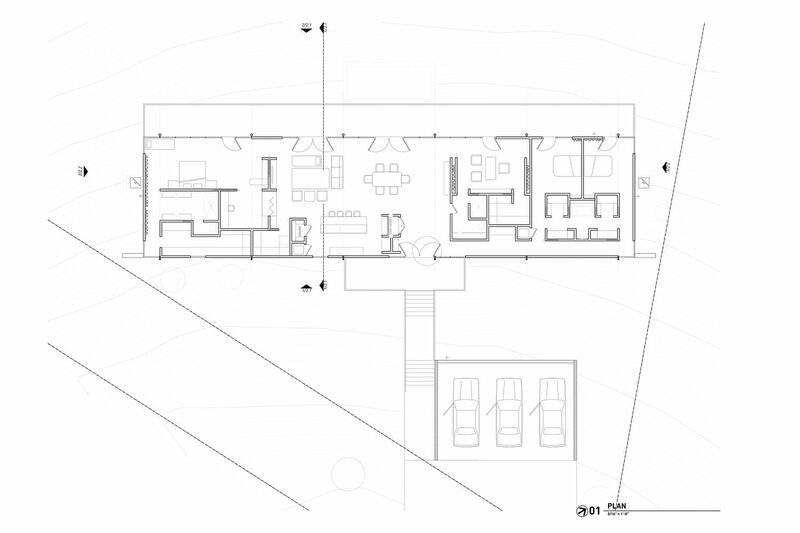 With a flat roof and a silhouette in white, the residence seamlessly combines modernity with timeless design and natural goodness. 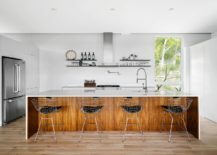 White is the color of choice both on the inside and the outside of the house with the shadows dancing across the blank canvas as the day passes. 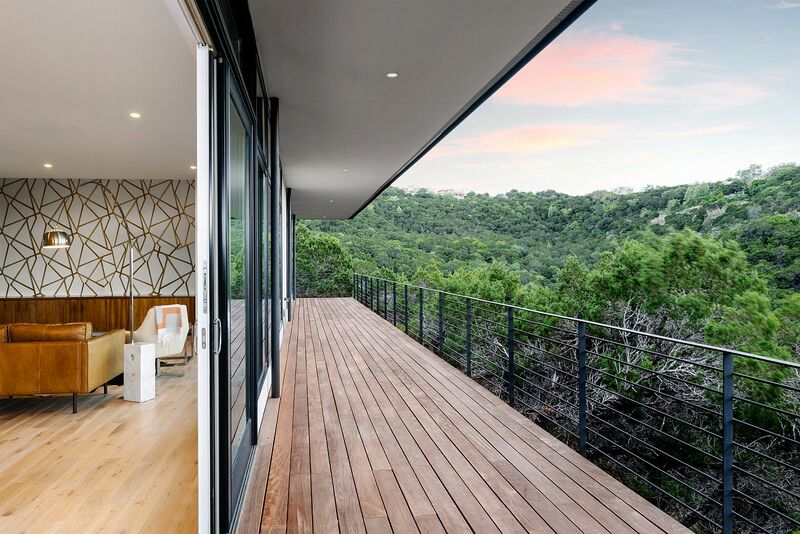 A large wooden deck is connected to the open living area and offers stunning views of the mesmerizing hills that surround the house and beyond. 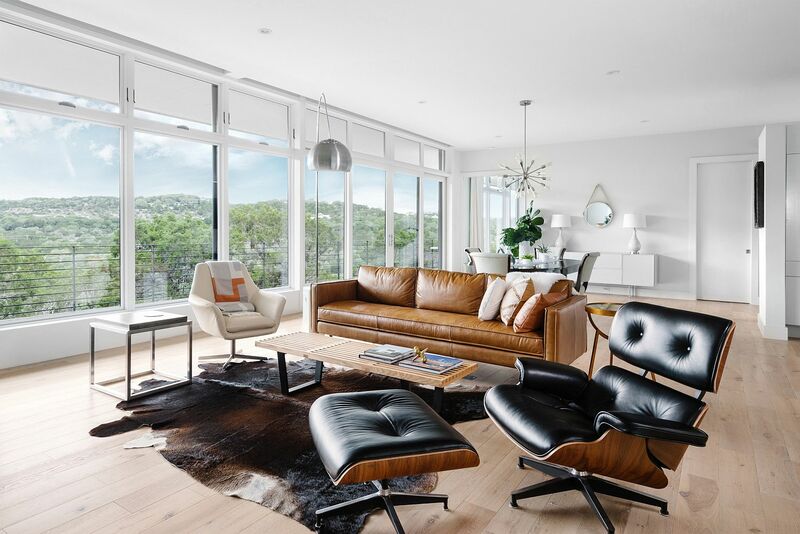 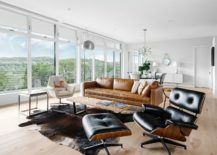 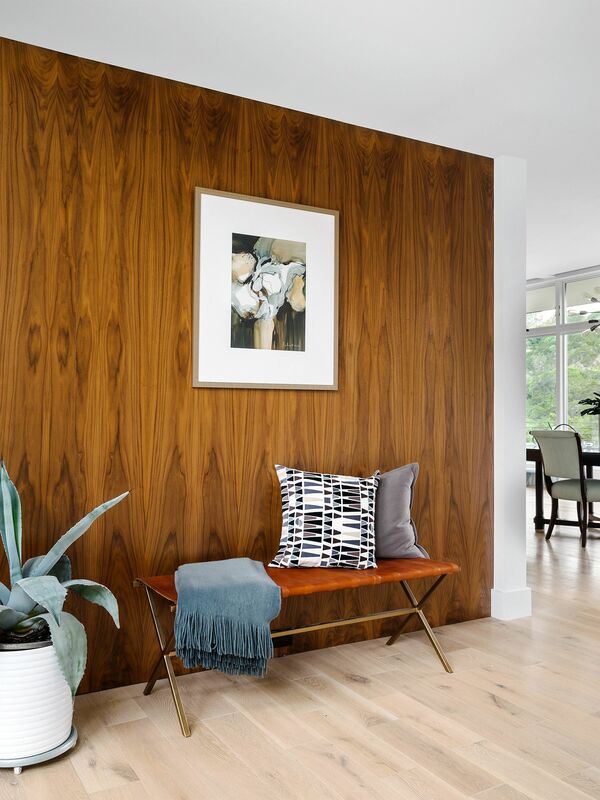 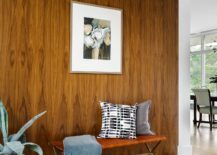 On the inside, décor is simple and elegant with a few mid-century modern icons like the Eames lounger making their presence felt. 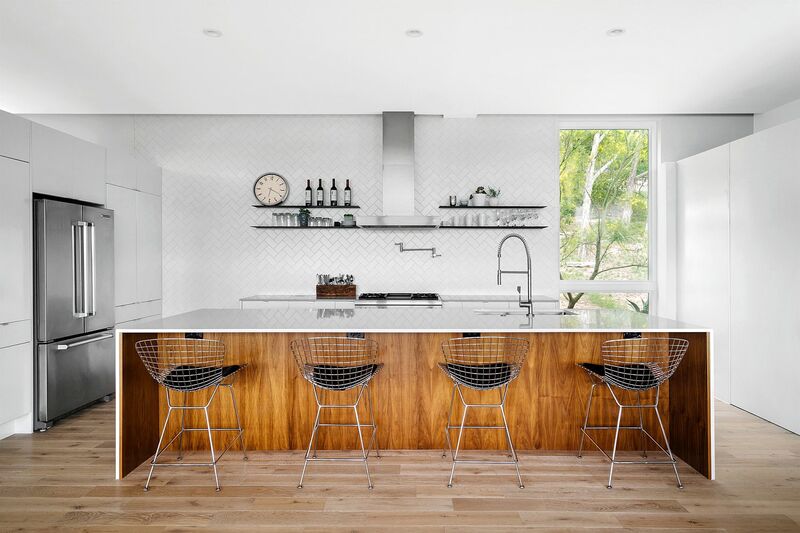 An accent wooden wall and the kitchen island usher in woodsy warmth even as the backdrop with herringbone pattern tile adds subtle pattern to the setting.